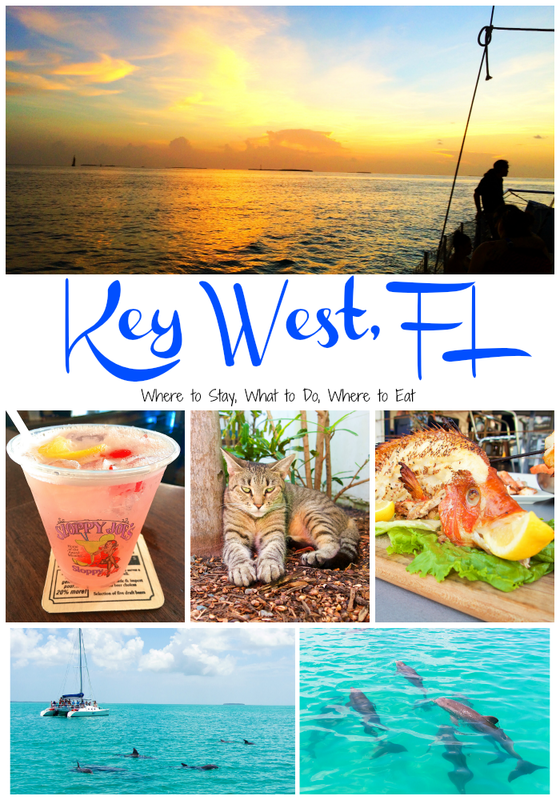 Key West, FL - Where to stay, what to do and where to eat while visiting the Florida Keys! We just got back from a quick trip to Key West. I was speaking at a food blog conference in Orlando, and I talked Chicken Legs into driving us down to Key West for a couple of nights after I spoke. We had SO much fun. The heat was not fun, but the activities were great! We took a wine & cheese sunset cruise, toured the Hemingway House, visited the Southern Most Point, did a shark tour, and ate & drank tons of great food! We even ate on a private island on our last day!! It was SO nice! 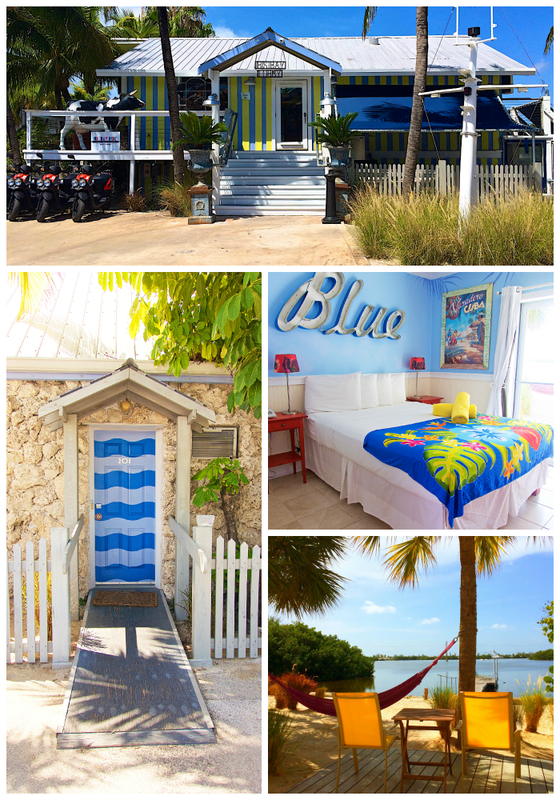 We stayed at The Ibis Bay Beach Resort. The rooms were so cute, but the view out our sliding glass door couldn't be beat! 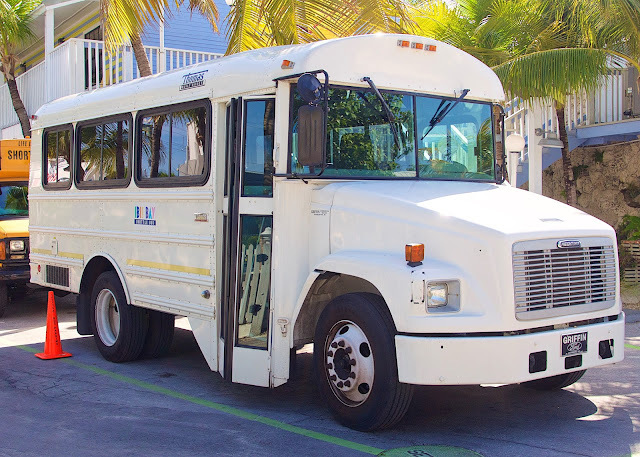 The hotel was a few miles from Old Town Key West, but they had a shuttle that took us downtown. The shuttle runs from 8am - 9pm. It makes 3 stops all around Old Town. If you want to go out later and get back to the hotel, the taxis are super quick. If you want to drive, there is a public parking garage next to the Westin near the docks in Old Town. 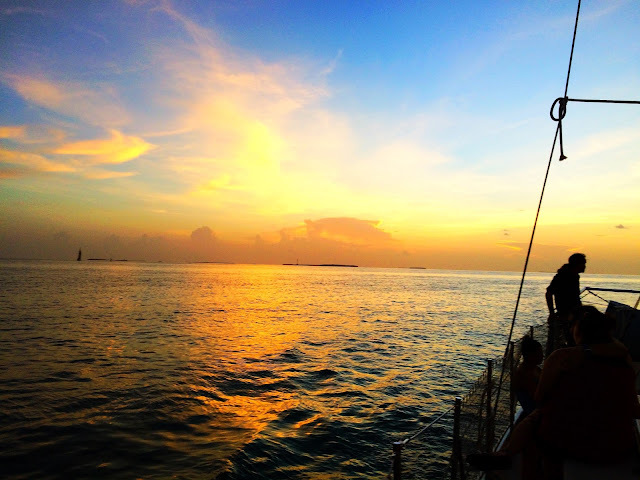 As soon as we got into town, we called and booked the Wine & Wind Sunset Sail with Danger Charters. They served wine, beer and snacks while we sailed around to watch the sunset. The cruise started at 6:30pm and we got back around 8:30pm. One of the best sunsets ever! They had two boats, so it wasn't crowded. The beer and wine were plentiful. It was tons of fun! We started our second day at The Southern Most Point. 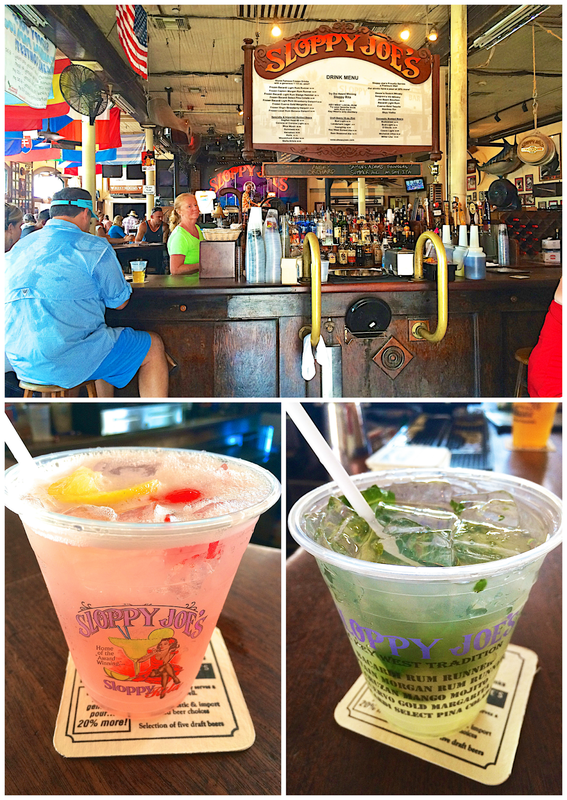 It is a must if you are in Key West! There was a line, but it moved quickly. After the Southern Most Point, we headed over to Ernest Hemingway's Home. 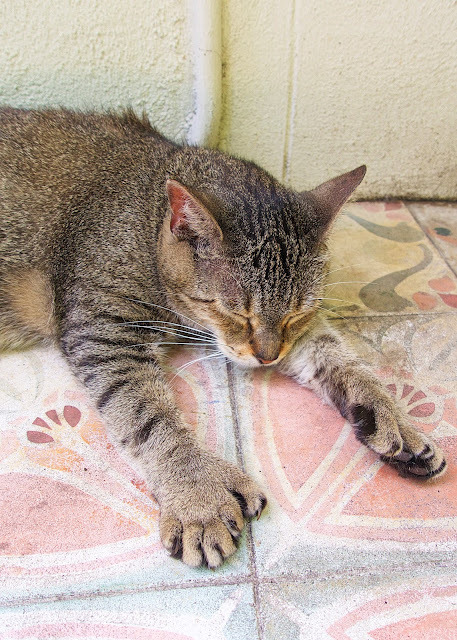 We spent most of our time hunting for the six toed cats. 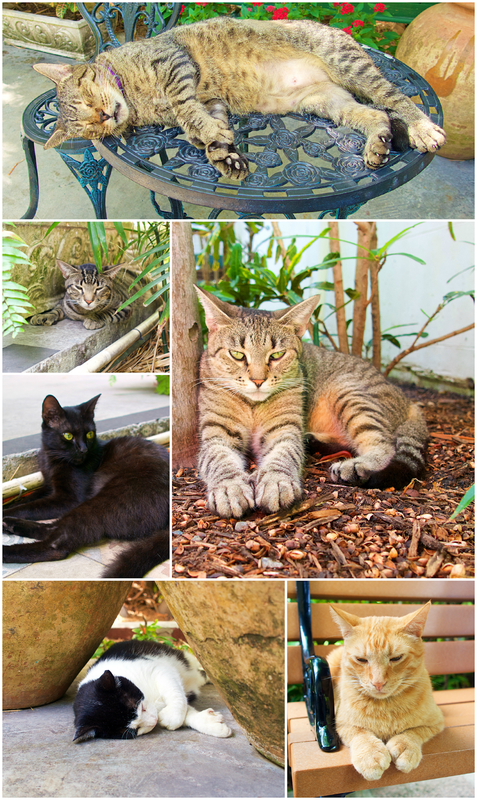 We were told there are about 50 cats on the property. They have it pretty good. The only thing they needed was air conditioning! I wanted to take them ALL home with me. Coincidentally, our shark tour was in the same booth as our sunset cruise. Different companies, but same location. 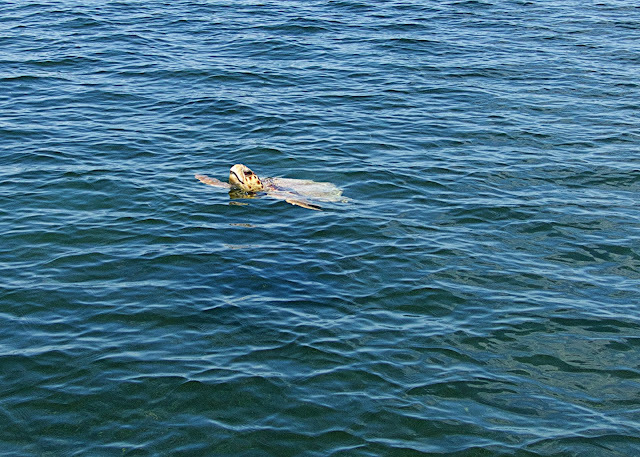 The first animal we saw was this beautiful sea turtle! He was huge and so pretty! 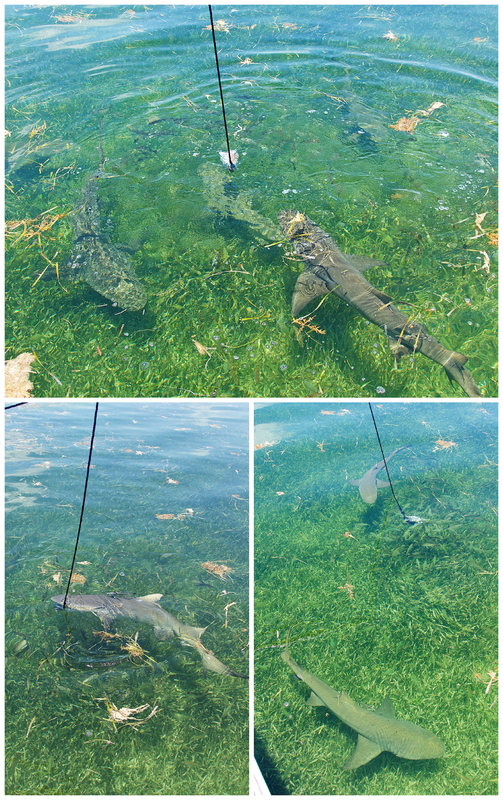 Next we anchored and fed the sharks! This was the first time we had ever seen a shark in the water. After we fed the sharks, we went out to the dolphin playground. 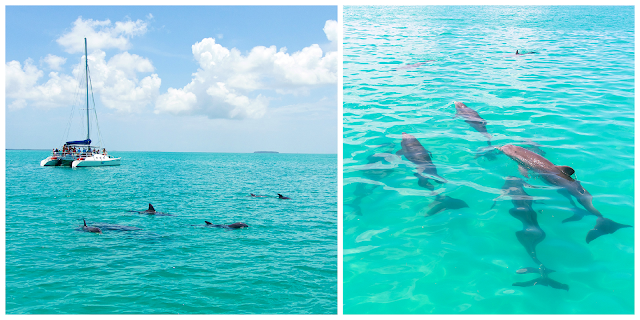 We saw tons of dolphins! It was amazing!!! 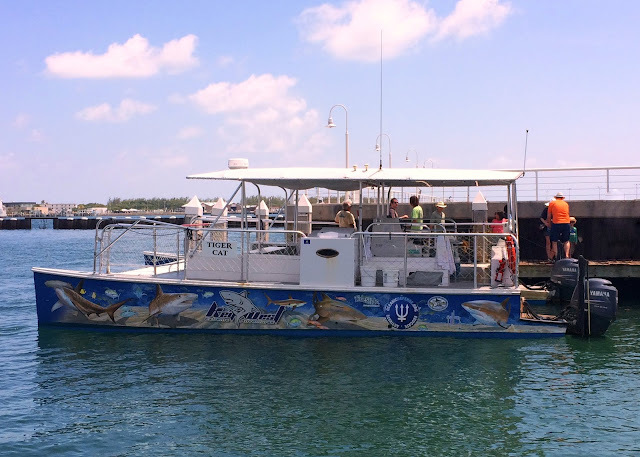 If you are in Key West, you must take this tour! 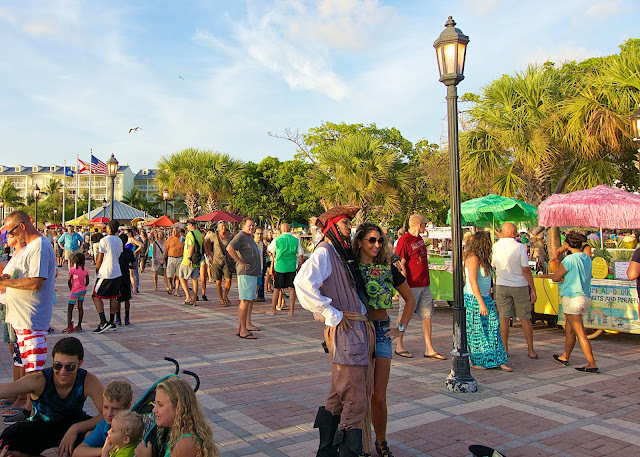 The Sunset Celebration is a nightly arts festival at Mallory Square Dock. There are tons of arts and crafts exhibitors, street performers, food carts, psychics. Each night around two hours before sunset people flock to the water's edge to experience a multicultural happening and to watch the sun sink into the Gulf of Mexico. I wanted to do two things in Key West. 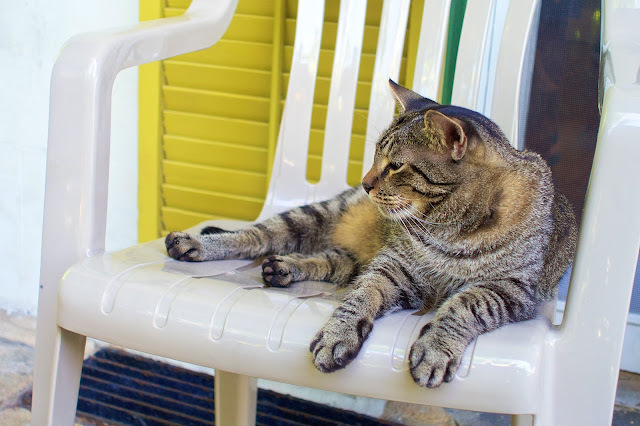 See the cats at the Hemingway House and have a drink at Sloppy Joe's. I got to mark them both off my list! 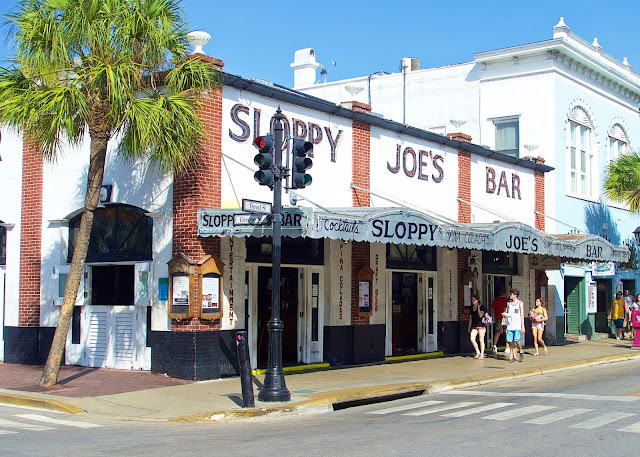 We really liked Sloppy Joe's. It was lively, they had live music and the drinks were good (and cold)! I got the Key West Lemonade and Chicken Legs got a Mojito. Our dinner at The Stoned Crab was a real treat! 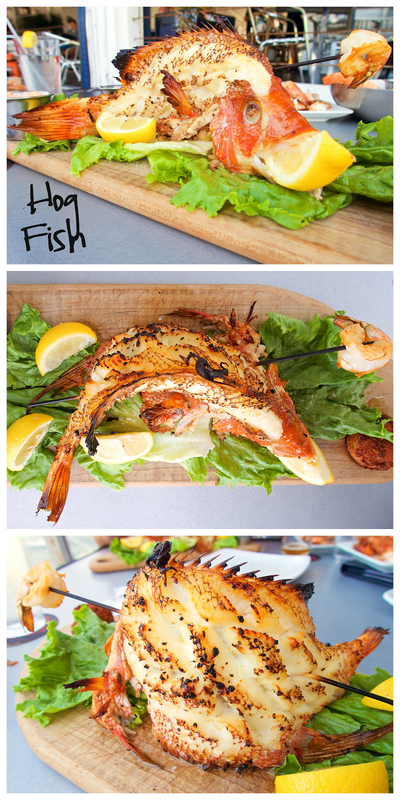 The chef, Paul Menta, made us the most amazing fresh seafood meal. He also told us all about the incredible program he runs, Dock to Dish. 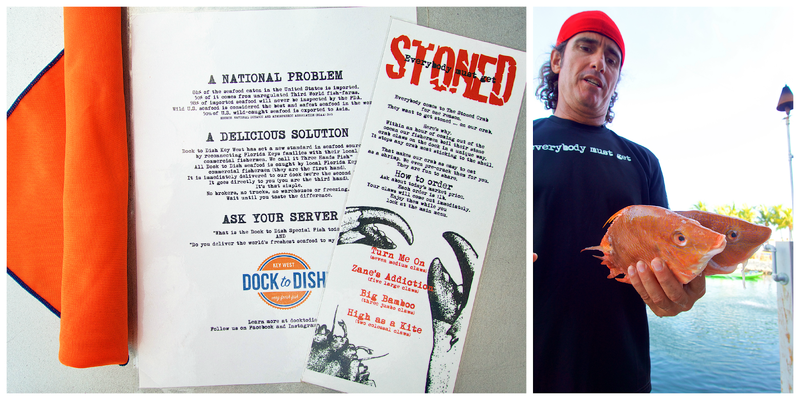 Dock to Dish partners with local fisherman to provide the community access to fresh fish. It is farm-to-table for the ocean. You can buy membership to Dock to Dish. 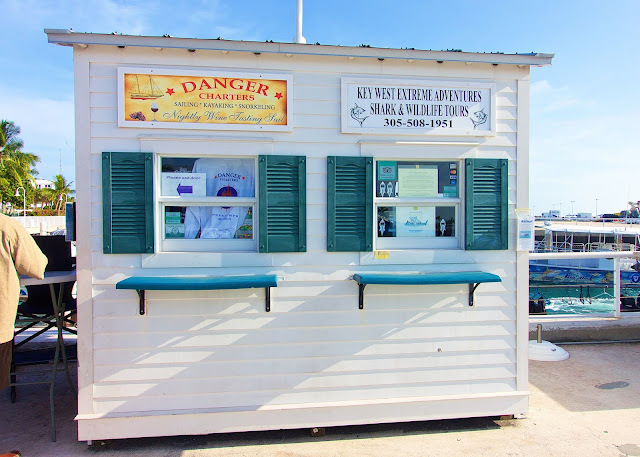 With that membership, you get the right to purchase the amazing fish caught right here in Key West. The fish is always fresh and never frozen. In addition to providing their individual members with fresh fish, Dock to Dish works with restaurants to provide them with the freshest fish available. It sounds like an amazing program! 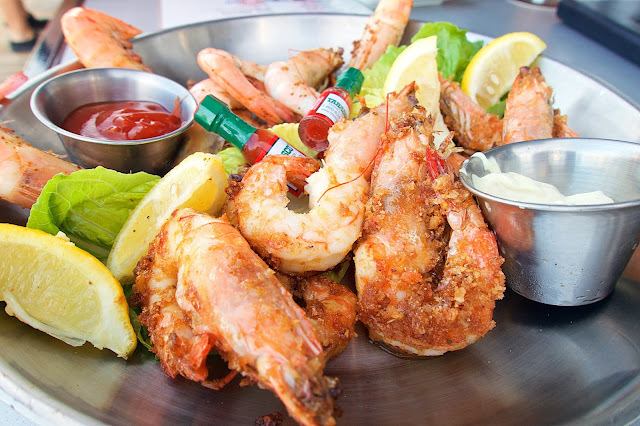 We started our meal with a trio of fresh Key West Pink Shrimp. We had steamed, boiled and sautéed shrimp. The sautéed shrimp was cooked with garlic, local honey and bread crumbs. You will notice that the heads and tails were left on when cooked. Paul said that leaving the heads and tails on when cooking will make the shrimp sweeter. All of the shrimp was AMAZING! Have you ever eaten Hog Fish? This was our first time and we LOVED it! The Hog Fish was caught the night before. I've never seen such a beautiful presentation of a cooked whole fish. Paul cooked the fish curved because that is how the fish is naturally. He said that gives the fish the best taste. The meat just pulled right off the bones. We've never had fish this good. Chicken Legs was in hog heaven! Get it? Hog Heaven? Hog Fish? He loved, loved, loved the fish! You must give The Stoned Crab a try when you are in Key West!! 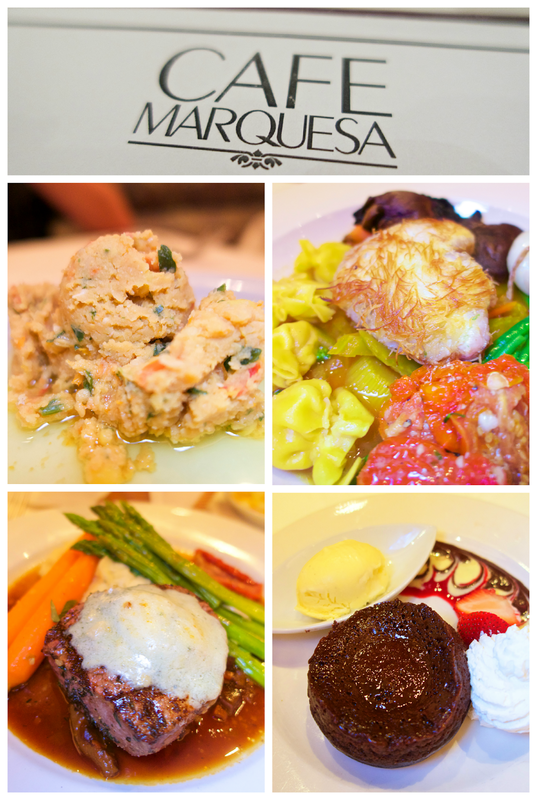 Someone on our sunset cruise told us about Cafe Marquesa. Turns out, it is Zagat's highest rated restaurant in Key West! I can see why. It was wonderful! The meal started with some hummus and bread. OMG! I need this recipe! Chicken Legs got the phyllo crusted hog fish with veggies and pasta purses filled with pear and cheese. The pasta was like our favorite fiocchi! I got the steak with boursin mashed potatoes. We couldn't pass up dessert. We got the chocolate lava cake. YUM! Santiago Bodega was recommend by three people - an Instagram follower, one of the crew on the sunset boat and one of the crew on the shark boat. We figured we had to go! The locals must know the best places. Well, they were right. It was SO great! I wish I could go again tonight! 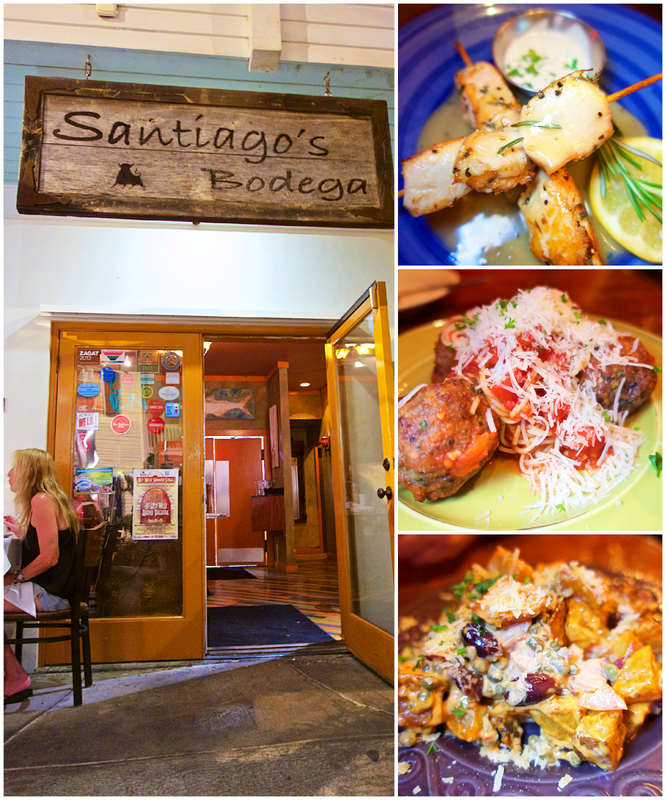 Santiago Bodega is a tapas style restaurant. Everything was SO delicious. We loved the atmosphere. I saw they have a location in Orlando. I've added it to our list for our next visit! Our final meal in Key West was at Latitudes on Sunset Key. This place came highly recommended from lots of people! We decided to go for lunch so we had a great view. 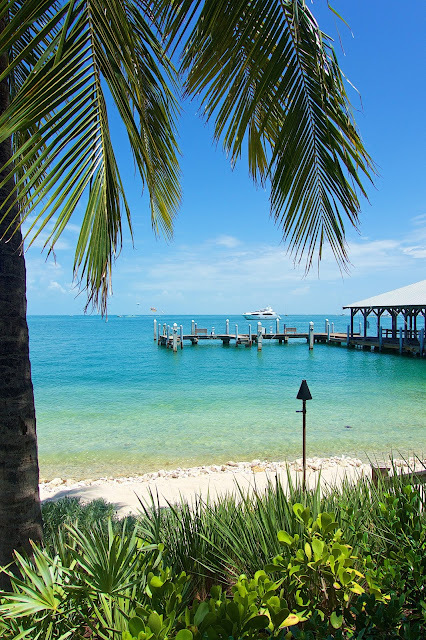 Sunset Key is a private island owned by Tom Walsh, the owner of the Westin Key West Resort & Marina. The island (officially called Tank Island) was originally owned by the US Navy. It was used as a fuel tank depot during the Cold War. The island was sold to a developer in 1986. Tom Walsh purchased the island in 1994 and renamed it Sunset Key. You must have a reservation to get here. It is a MUST. You take a private boat over to the island. The dock is directly across from the Danger Cruises/Key West Extreme Adventures booth. The boat leaves every half hour, so plan accordingly. We started our meal with the Griddled Conch Fritters. Conch is all the rage in The Keys. We had to try it! The fritters were great! 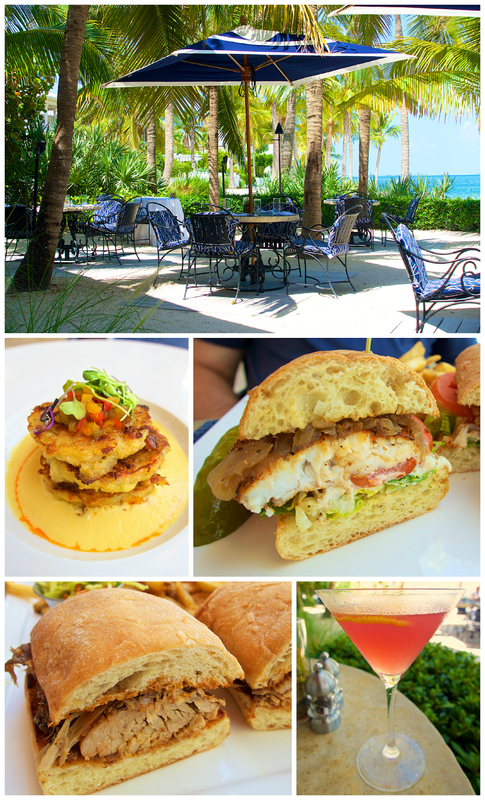 For our entrees, Chicken Legs got the Blackened Grouper Sandwich. It came with a key lime tartar sauce. He loved it!! I got the Island Pulled Pork Sandwich. It had a mango mustard on it. OMG - SO good! Must recreate it ASAP! We had a cocktail instead of dessert. We would definitely come back to Latitudes! It is a true paradise! Next time we are going to come for dinner. I'd love to watch the sunset from the island. View from paradise. I didn't want to leave! 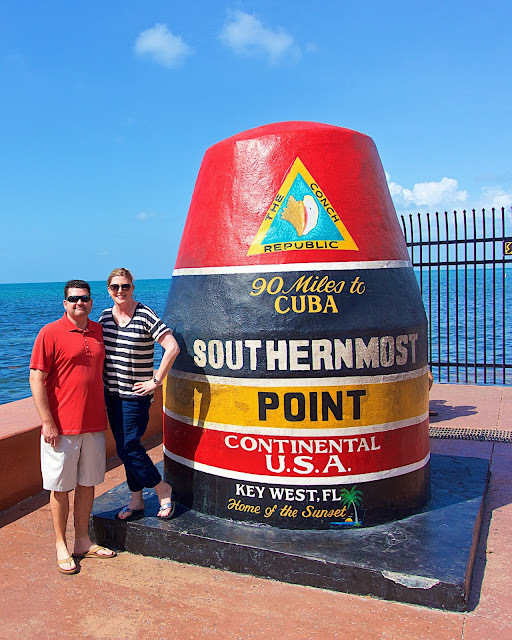 We had a blast in Key West! We need SO much more time though. 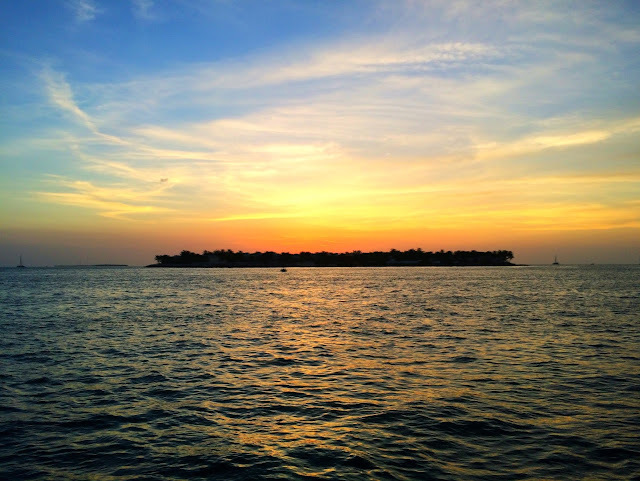 If you are planning a trip to Key West, make sure to check out the Florida Keys website. 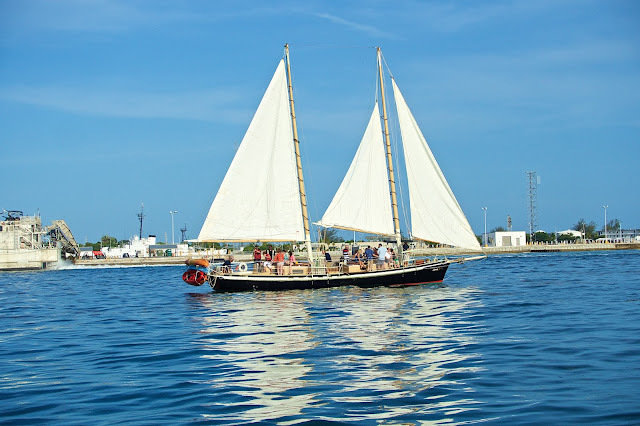 There is TONS of great information on the site to help you make the most of your time in Key West. It really helped us plan our activities! What should we do on our next trip? Oh this brought back such fantastic memories!! I was there 2 years ago on my honeymoon!!! Love Sloppy Joes also, my husband and I had sloppy joes there, how funny!!? And I loved Hemingways house, I have been so curious about him and his wives since then!! Loved it, its such a special place!! !